Arsenopyrite, a major ore of arsenic, comprises of Iron (Fe 34.3%), Arsenic (AS 46%) and Sulfur (S 19.7%). 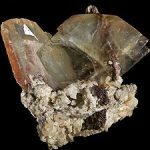 Read on to know more about this ore.
Arsenopyrite is one of the important ores of arsenic widely found in contract metamorphic rocks. The ore has some amount of gold and is therefore used to identify reefs bearing gold. In old literature, the name of the ore is found to be mentioned as mispickel which is of German origin. The ore is hard, opaque and has a high specific gravity (6.1). When Arsenopyrite is dissolved in nitric acid it releases sulfur. When heated, it emits toxic fumes and also shows magnetic properties. Arsenopyrite Gold is found in Sweden, England, Germany, Bolivia and several parts of United States. The chemical equation of Arsenopyrite is FeAsS. Earlier, it was believed that the ore crystallized in orthorhombic system. But recent analysis has found it to be monoclinic. The ore crystallizes in monoclinic crystal system and shows columnar form. Unlike crystals of several other sulfides which have obtuse angle, crystals of Arsenopyrite have acute angles. The atomic structure of Arsenopyrite is such that Fe is at the centre with three As and S atoms linked to it. Here the atoms are connected in a fashion that is very much similar to marcasite. Given below is the structure of the ore. The image of Arsenopyrite will help you understand its crystal structure. 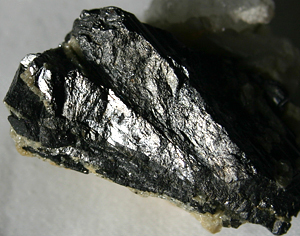 Arsenopyrite arsenic is highly toxic in nature. It is also flammable. While burning, it produces poisonous sulfur and arsenic fumes which, if inhaled in large quantities, can be fatal. The ore, therefore, should be stored dry under low temperatures. It is soluble in nitric acid. When it dissolves in the acid, a certain amount of elemental sulfur is released. When deposits of the ore are exposed to the atmosphere, it slowly oxidizes, converting arsenic into oxides. The oxides are more soluble in water which leads to acid mine drainage. This is cobalt rich variety of Arsenopyrite where cobalt replaces approximately 12% of iron. This is found in Franconia and New Hampshire. It is very much identical to Arsenopyrite, though it contains Antimony instead of Arsenic. In China, it is used as a medicine for the treatment of skin diseases and asthma. One can buy the ore online or from any authorized supplier. The approximate price of the ore is $ 46.